Amedeo Santosuosso è Presidente del Centro di Ricerca Interdipartimentale European Centre for Law, Science and New Technologies (ECLT) dell'Università di Pavia sin dalla sua fondazione e insegna Diritto, Scienza, nuove Tecnologie presso il medesimo Ateneo. A. Santosuosso, The human rights of nonhuman artificial entities: an oxymoron? In Yearbook of Science and Ethics/Jahrbuch für Wissenschaft und Ethik, De Gruyter Publisher, 2015. 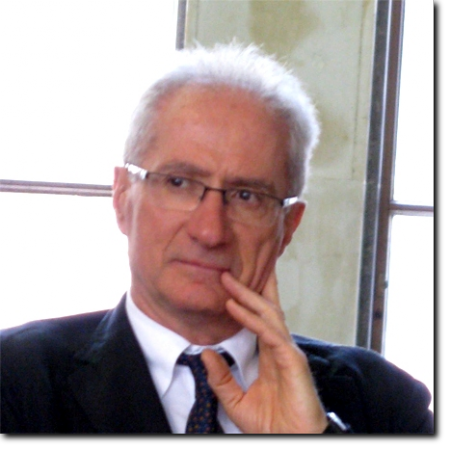 A. Santosuosso, Cognitive neuroscience, intelligent robots and the interplay humanmachines, in Rivista di filosofia del diritto (Journal of Legal Philosophy), Speciale/2014, pp. 91-106, doi: 10.4477/78476. A. Santosuosso, If the agent is not necessarily a human being. Some legal thoughts, in: D. Provolo – S. Riondato – F. Yenisey (eds. ), Genetics, Robotics, Law, Punishment. Padova, Padova University Press, JusQuid Series, 2014, 545-561. A. Santosuosso, A general theory of law and technology or a general reconsideration of law?, in Palmerini E., E. Stradella (eds). Law and Technology. The Challenge of Regulating Technological Development. Pisa: Pisa University Press, 2013. A. Santosuosso, Should privacy be abolished in genetics and biobanking? in Izzo U. – Macilotti M. – Pascuzzi G. (eds. ), Comparative Issues in the Governance of Research Biobanks. Property, Privacy, Intellectual Property and the Role of Technology, Springer, 2013. Santosuosso A., C. Boscarato, F. Caroleo, R. Labruto, C. Leroux, Robots, market and civil liability: A European perspective. Proceedings of the 21st IEEE Int. Symposium on Robot and Human Interactive Communication. Paris 2012. Santosuosso A. - Bottalico B. (2009), Neuroscience, accountability and individual boundaries, in: Frontiers in Human Neuroscience, vol. 3, Article ID 46.